The system of local authority-run welfare safety net schemes set up to provide support for vulnerable low-income families hit by unexpected financial crises and domestic emergencies is on the brink of collapse, according to new research published today. Local welfare assistance is supposed to help the poorest residents to weather the short-term costs of setbacks such as fires, floods, injury, illness and benefit delay, as well as the breakdown of vital household equipment such as cookers and fridges. The idea is to nip problems in the bud before they spiral into intractable and costly problems such as destitution, problem debt, child safeguarding and homelessness. But nearly two-thirds of English councils have either closed the “welfare assistance schemes” they introduced just four years ago, or offer only a threadbare service, according to a study by the Centre for Responsible Credit (CfRC). It says the cuts have left thousands of people in many areas without vital hardship support, often forcing them to go without, turn to charity handouts, or take out high cost loans to pay for basics such as food, energy, furniture and rent. “Local welfare schemes are in meltdown. The government continues its assault on local government funding, whilst trying to avoid responsibility for the consequences. Our research reveals a depressingly bleak picture as a result: more pain and misery for those individuals who fall on hard times, and greater demand on housing, health and social care services,” says the report’s author, Damon Gibbons, director of the Centre for Responsible Credit (CfRC). Campaigners have called on ministers to urgently review local authority provision of help for people in financial crisis in England, and take steps to ensure emergency support is consistently available across the country. They say demand for this kind of help is increasing, driven by social security cuts, rising poverty, and increasing dependency on high-cost credit to pay for essential items. The CfRC tracked local welfare schemes in 110 out of 155 English councils. It found that 26 had scrapped their schemes entirely. They include: Bournemouth, Exeter, London’s Haringey and Barking and Dagenham, Northamptonshire, Nottinghamshire, Oxfordshire, Plymouth, Reading, Solihull, Staffordshire and Portsmouth. A further 11 councils have cut local welfare funding by more than 80% compared with 2013 levels, leaving them so depleted they now provide a skeleton service – in some cases simply transferring what little remains of their budget to local food banks or credit unions. Some 30 councils have imposed cuts of between 60% and 79% on local schemes. Local welfare assistance replaced the nationally administered £300m-a-year social fund safety net four years ago. The latter had provided loans and grants to applicants. Uses of the fund might typically include a £50 loan to pay for a hospital visit, or a £500 grant for beds, a fridge and a cooker to make an unfurnished flat habitable for an incoming homeless family. Its replacement would be delivered through a patchwork of 152 devolved programmes in England, largely eschewing cash and loans in favour of vouchers and “in kind” support. In one notorious case, a 62-year-old homeless woman was offered a voucher to buy a tent because the local crisis scheme did not offer cash for a rent deposit. The new scheme came with a £120m annual funding cut. Local welfare was nonetheless heralded by ministers as an upgrade that would be easier to administer than its predecessor, better targeted at individuals in need, and less open to abuse. The reality, according to the CfRC, was that many schemes were hard to find, difficult to access, and slow to deliver help. Demand and expenditure plummeted, despite evidence of rising need. National funding continued to shrink, from a guaranteed £180m pot provided by the Department for Work and Pensions (DWP), to a notional £129m allocation within the local government general grant, dubbed “ghost money” by councils. Local authorities were not obliged to fund local welfare schemes, and – forced to protect core services in the face of spending cuts – many decided not to. The decline of the local welfare assistance scheme at Portsmouth city council illustrates the speed at which the policy has unravelled in many areas. The council was initially allocated £726,000 by the DWP in 2013-14, dropping to £715,00 the following year. When the DWP ceased its national grant funding of local welfare in 2015, Portsmouth closed the scheme to residents and redirected unspent funds to local poverty charities. This year its budget is a paltry £30,000; next year it expects it to be zero. One of the first councils to cut its local welfare scheme entirely was Oxfordshire, in 2014, noting that it was “not a statutory requirement” and may be better delivered by charities. A subsequent assessment of the impact of the closure by the Oxford and district Child Poverty Action Group, cited in the CfRC report, found that destitute clients, rather than being helped swiftly, were now dependent on food banks and often waited weeks for charity help. The CfRC estimates that at least one in seven households in England currently no longer have access to a council-run crisis support scheme. That proportion is likely to rise as the drastic funding squeeze imposed on local authorities by central government forces them to close non-statutory services. At least 30 council welfare schemes are under review, according to recent research by Shelter, which is likely to mean closure or further cuts to provision. Just five councils identified by the CfRC have maintained or increased local welfare spending: Islington, Slough, Bath and North East Somerset, Trafford and Rutland. Islington, which runs a residents support scheme in partnership with a local poverty charity, the Cripplegate Foundation, has kept funding levels above its notional allocation and last year spent £705,000 (see below). It regards local welfare as a vital investment aimed at helping residents and saving money further down the line. “Just because the government has cut councils’ funding for local welfare doesn’t mean the people who need that help have disappeared. We have chosen to retain our resident support scheme to assist some of our most vulnerable residents in times of need,” says Andy Hull, Islington council’s executive member for finance. The National Audit Office has pointed out that few councils have bothered to analyse the cost benefits of local welfare. One that did, Milton Keynes, using official government analytical tools, found in 2015 that expenditure of £500,000 on crisis support delivered £4.8m in savings to local public services, from housing to social care. However, it still ended up cutting its scheme. Most local authorities, the NAO concluded, were making cuts in the dark; they simply had no proper idea of need, demand or the consequences of removing provision. There is widespread support among poverty campaigners for a local welfare safety net overhaul, with much enthusiasm for the Scottish approach. In Scotland, local welfare is a statutory service. The Scottish government devolves £38m to local authorities, which give out grants and loans according to national eligibility guidelines. Unlike in England, says Gibbons, this delivers both consistency and local flexibility. Many fear that if an urgent injection of funds is not forthcoming, local welfare assistance could all but disappear with two years. A government spokeswoman says: “We believe that councils are best-placed to decide how to support local welfare needs. That’s why we’ve provided local authorities with £200bn and the certainty to plan ahead through our four-year funding settlement. Islington council’s local welfare assistance fund – called the Resident Support Scheme – has distributed more than £30,000 so far to help victims and their families cope with the financial consequences of injuries and trauma sustained in a terrorist incident near the Finsbury Park mosque in the borough earlier this year. One person died and 11 were injured when a van ploughed into worshippers as they left a mosque in the north London neighbourhood in June. Unemployed father of four Darren Osborne, of Cardiff, has been charged with murder and attempted murder and will face trial in the new year. As part of a wider programme of support to victims and the wider community, the council was able to draw on its local welfare scheme – one of the few such programmes in England still relatively unscathed by drastic cuts to local authority budgets. • Writing off minor debts such as utility bills or rent arrears to help alleviate stress and pressure on victims and help them to focus squarely on recovering and getting better. 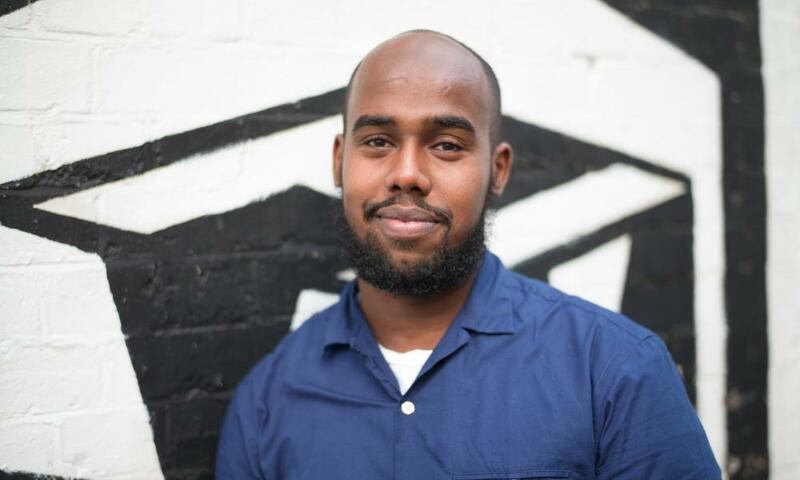 Sadiq Yusuf, pictured above, project manager at Muslim Welfare House in Finsbury Park, says the RSS provided vital help to victims and their families, many of whom already had financial worries and who may otherwise have struggled to cope with the consequences of the incident. “The first things one of the victims said when he woke out of a coma in hospital was, ‘My rent, I can’t pay my rent’. Islington has gone against the grain among English councils in maintaining its local welfare scheme after ringfenced funding from central government was cut in 2015. It has undertaken to fund the scheme to a minimum of £557,000 a year, topping this up from reserves where there is extra demand, up to a maximum of £1.1m. It spent £810k in 2015-16, and £705k in 2016-17. It says resident support scheme funds have been deployed for often relatively simple purposes such as refurbishing a flat, paying for white goods or bedding, or even giving out a food voucher. This has enabled the council to provide stability for families and individuals who otherwise might slide into crisis, potentially running up huge costs in foster care, temporary accommodation and hospital stays.